Sasayaki has a new challenge starting today! The theme is the color RED! That wasn't hard for me to do since I love RED!! This image is so adorable! I also love dogs and was so happy to color this one! I hope you like it as much as I do! That's all of it! 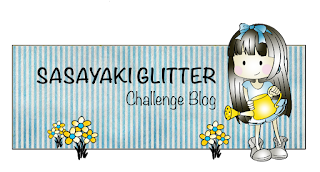 I hope you stop by and register in my blog and I hope to see you join the blog challenge at Sasayki Glitter Stamps! Click below to join the challenge! What a sweet little gal and your card is lovely. Thanks for joining us at Making Memories Crafting and I hope you'll be back again soon. Very sweet Card... like it. Lovely coloured image, pretty card. A beautiful card, and lovely images coloured beautifully. 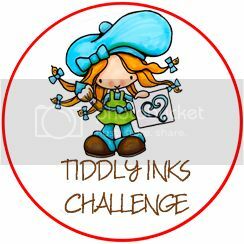 Thank you for joining our Valentines challenge over at Making Memories Crafting. Hope to see you again soon.